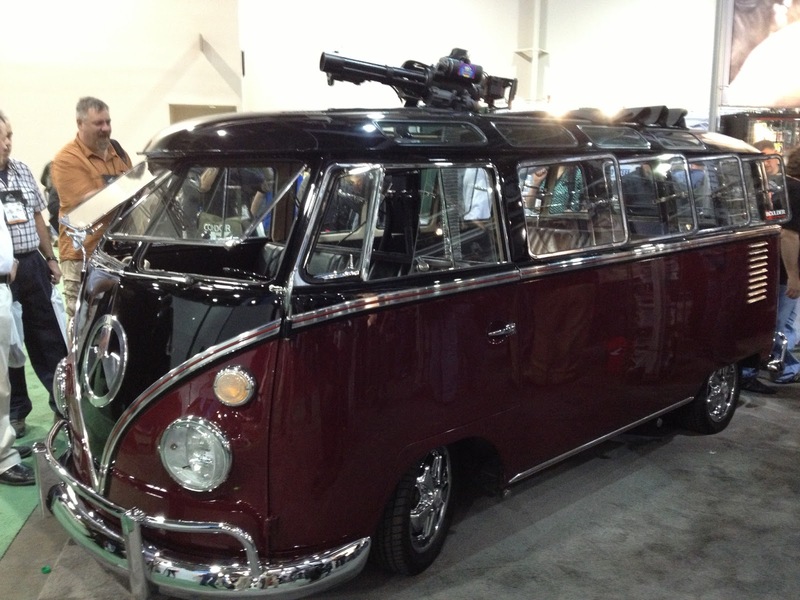 This tricked out hippie van with the chain gun at the Mag-Pul booth takes the cake as the most wonderfully ridiculous photo-op at SHOT Show. I asked one of the boothies whether or not it was street-legal. He replied something to the effect of "who the hell was going to try and write it up?"